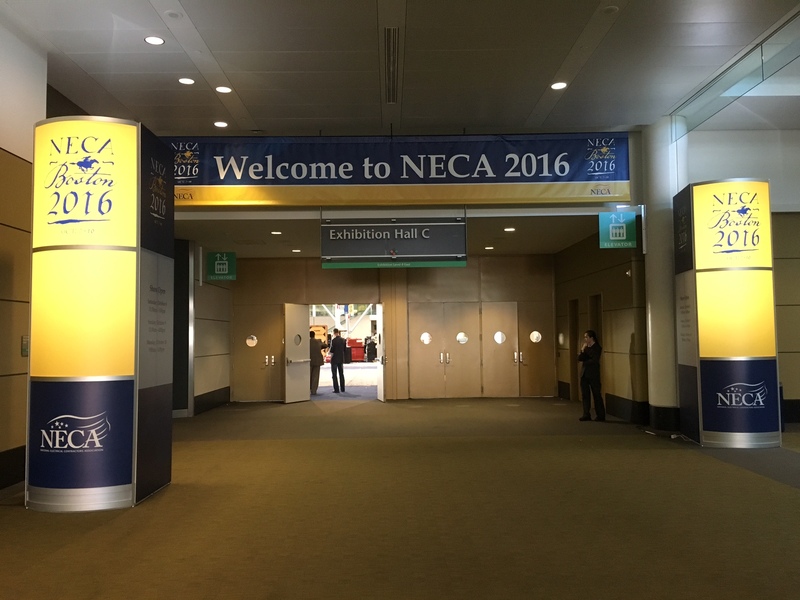 National Electrical Contractors Association President David Hardt put his focus squarely on the future during his address at the Opening General Session on NECA 2016 Boston on Saturday. He said it starts with the people of NECA, which is “what we’re all about.” That includes NECA members, Chapter staff and committees and task forces. Most consequentially, Hardt outlined a new initiative called NECA Vision 2020. Vision 2020 will be the NECA plan to guide the association into the next decade. It will assess the future of the electrical construction industry in the United States as it is impacted by changes in technology, the evolving construction process, the viability of construction labor unions, the shift in generational leadership and the role of trade associations in society. “The leadership of NECA is preparing for the future and planning for that success,” he said. Hardt said he is proud of NECA’s longstanding relationship with the International Brotherhood of Electrical Workers. Later, former NECA President Dennis Quebe reviewed the last year’s activities of the Academy of Electrical Contracting, which included two events since NECA 2015 San Francisco. Thirteen new Fellows were introduced, including Wes Anderson, Susan Ernst, Glenn W. Kingsbury, Jim Laub, Terry Lette, James McDonald, Lindsay T. Mills, Earl C. Restine Jr., Sonja L. Rheaume, David I. Samuels, Steve R. Washburn, James P. Young and Russ Zimmerman. Also, Alex Owen, National Chairman of the NECA Political Leadership Council, spoke to the convention, thanking contributors to NECAPAC and encouraging new contributors to get involved in the political process. “NECAPAC is funded by your contributions, but the energy it runs on is your participation,” Owen said.